The Buffalo Municipal Housing Authority isn’t giving up on winning $30 million in federal funding. The Buffalo Municipal Housing Authority is taking valuable lessons from news that it must start over in its application for $30 million in funding as part of the federal Choice Neighborhood Program. That’s even while being told it did receive from the U.S. Department of Housing and Urban Development nearly $8.4 million to use toward capital improvements in its public housing properties this year. Celebration is warranted for the smaller grant, which will be used to benefit many parts of distressed neighborhoods. But showing determination and an unwillingness to give up on the bigger picture is the right attitude to take given the task ahead in reapplying for the federal Choice Neighborhood program funding. Ambitious plans have been drawn. They involve many parts breathing life into a low-income neighborhood and its surrounding areas. The grants would implement the Perry Choice Neighborhood Transformation Plan, a joint initiative of the Housing Authority, the University at Buffalo, SUNY Buffalo State and many agencies and partners. It is important that this is not the end of the project. The HUD money was intended as a start, and in that declaration is hope that the components will still fall into place. Moreover, it is encouraging the plan was developed with the help of $250,000 in HUD funds awarded in 2011. 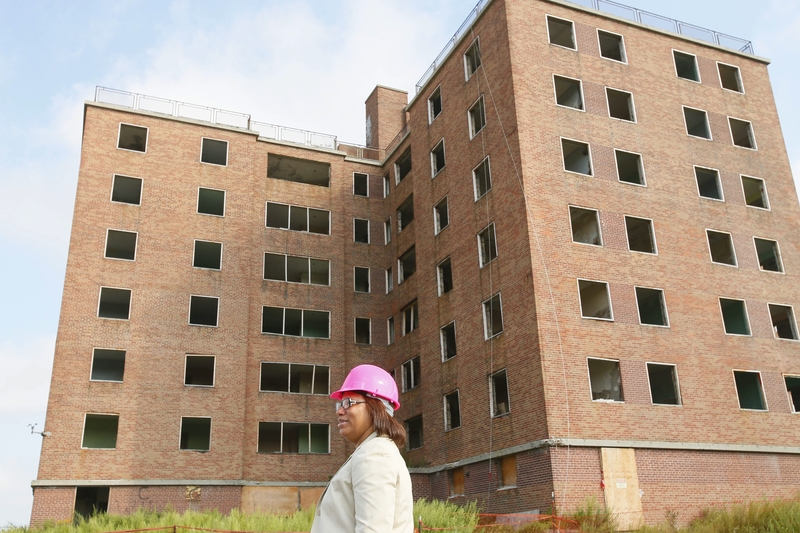 The Housing Authority was one of 17, out of 119 applications nationwide, to be awarded the money over a two-year period to develop a plan to revitalize public housing developments and surrounding communities. With all the development occurring in downtown Buffalo and surrounding areas, it is not a leap to see the vision of turning the Commodore Perry Homes and its surrounding neighborhood, which is located south of the Niagara Thruway and east of the Cobblestone District, into mixed-income housing, shops, parks and other amenities. The goal of an inclusive, vibrant neighborhood that is designed to provide for everyone from a spectrum of the income scale is achievable. It can be done. The determination by the numerous partners makes the disappointment of not being selected for the grants only a setback. Learn and grow.